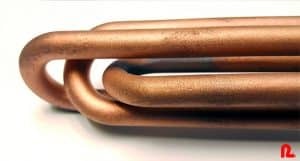 The most efficient method of electrically heating water, oil or other fluid is by inserting a metal sheathed heating element into the fluid as close as possible to the bottom of the containment vessel. Forced circulation will increase efficiency and reduce heat-up time. If you have a location where it is difficult to install a traditional through the side immersion heater, an over the side immersion heater is the perfect option. 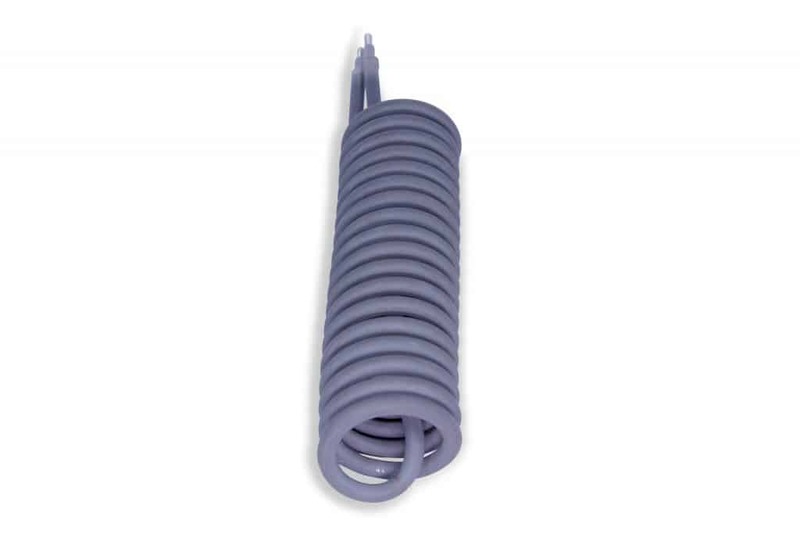 This type of heater can be dropped through the top of your vessel, leaving the heating element along the side or bottom of your holding tank. This type of heater is available in a wide variety of formats and is installed with heating elements constructed of various materials. 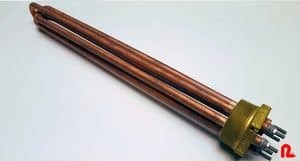 You can find a wide range of shapes, kilowatt ratings, and ways to mount this type of heaters, making them ideal for your industrial heating needs. 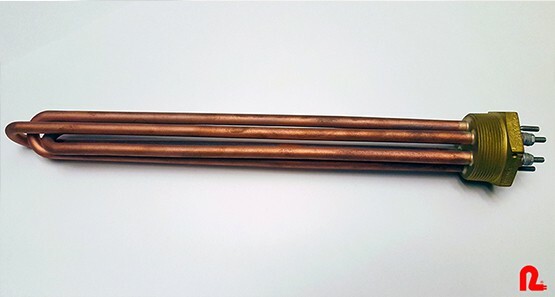 This type of immersion heater has a tube element that is welded to a flange and comes with wiring boxes to allow for electrical connections. These heaters come in a vast selection of kilowatt ranges and voltages, flange sizes, and terminal and sheath housings. This flexibility and adaptability make them an excellent choice for a wide variety of your heating needs. They’re easy to install and maintain. This heating method is highly efficient, and energy output is easy to control. To maintain high quality elements, we only use George T Hall Thermostat with our heaters. 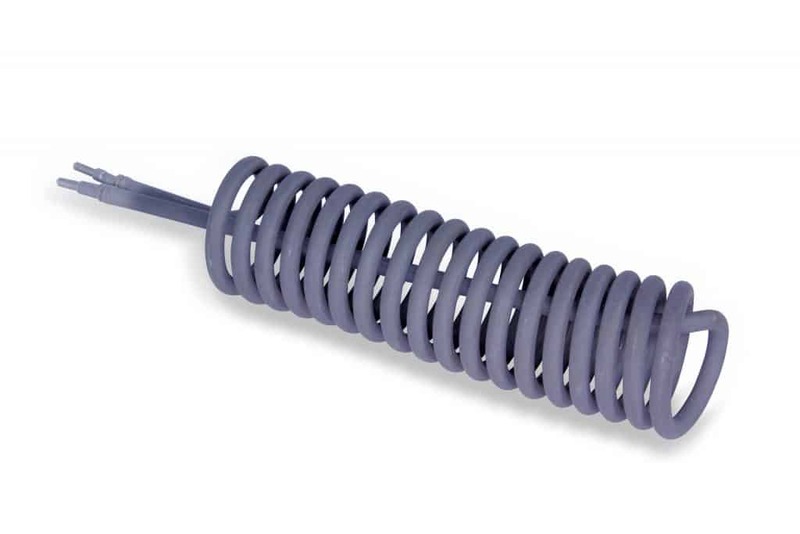 This type of immersion heater consists of a tubular element that is bent like a bobby pin, then welded on to a screw plug. The heater comes with wiring boxes for electrical installation. 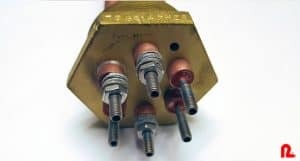 They come in a wide variety of standard screw plug sizes, voltages, kilowatt ratings, thermostats, terminal housings, and more, and they’re great for numerous applications. Full wattage range-low temperature, medium temperature, and high-temperature heating. Optional flanges of different standards such as; copper nickel, manifold covers, bulkhead, weld neck, slip on, steel, etc. 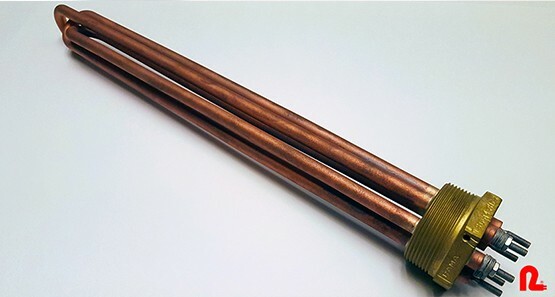 The most efficient method of electrically heating water, oil, or other fluids is by using RAMA immersion heaters. 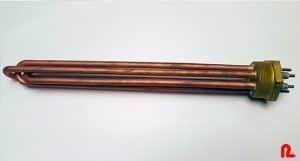 Our heaters are made from the best quality materials and can be used in any containment vessel. Thermowells can be supplied for controller sensors. In Stock Immersion Heaters coming soon! Our team of Engineers and Physicists will ensure that your intellectual property is realized through the instrumental immersion heaters. We listen, then act.